Insein. Insane? Your fighter jets keep ripping up the sky above my head! Your Buddhist monks start chanting chants when I am still in bed! Your Hindus drum and drum on drums and keep me up all night! To hear my students speak in class I must put up a fight! Chin, Kachin, Karen, Kayin. Help me! Please! I'm so confused! Reading off the list of names, I hear their "Ha Ha Ha's" and "Hoo's." Hmmmmmm. Uh huh. I get it now. You're not the one to blame. It's me, not you, who's losing it. Insein is just your name. Note: This is the poem Bob Winter, an English teacher from BARS, wrote. 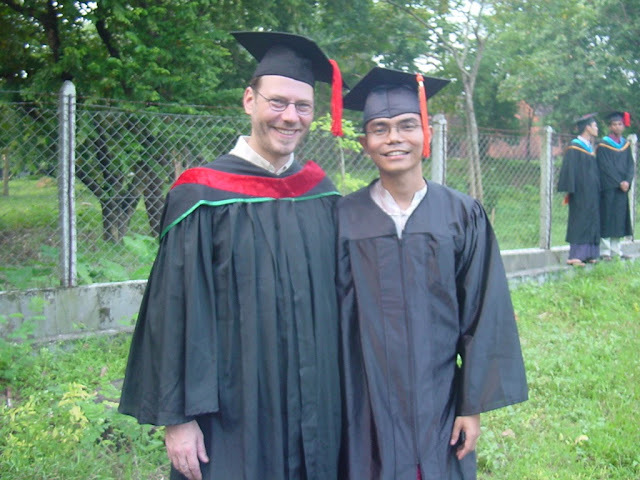 Insein is the name of the place where our school, MIT, is. again. All of them are working. part of Burma, about 90 miles from Thailand border. I am in Maymyo (Pyin Oo Lwin) and I visited several places there. Dr. Sikhia from MIT is also in Maymyo and we went sight-seeing together.